Use this innovative system to control service department jobs. Two consecutively numbered*, perforated, detachable tags at the bottom become the key tag and customer claim check. 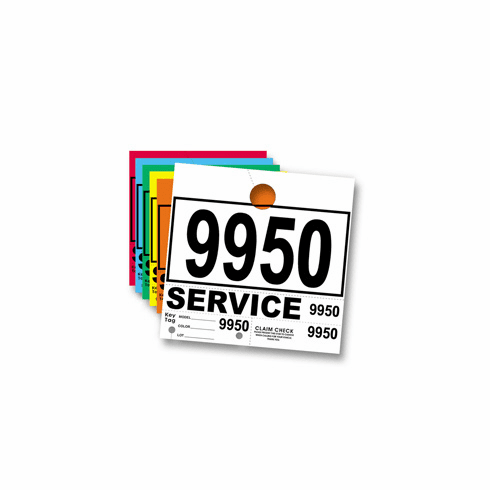 After service is complete, the technician removes the �service� portion from the tag and attaches it to the paperwork, signaling service completion. Black printing on White, Green, Red, Blue, Orange and Yellow.